Our vision plan allows member a great opportunity to receive something tangible with their premium payments. 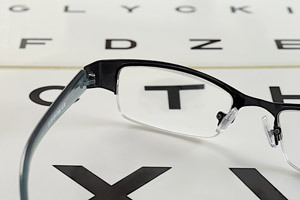 Through the vision service plan (VSP) we offer group vision insurance and discount plans. Our vision plans are great because they are available with our dental, disability, or life providing simple administration, we offer one of the most well known private practice eye care doctors in the industry, and plan options to fit your needs and lifestyle. The VSP promotes good eye health, offers premium doctors, ensure the patient has a good experience, and has a wide selection of eyewear that meet all our patients needs. Employee Benefits Agency educates employers on which vision packages are appropriate for their company’s needs. We work with large and small companies and we have the knowledge to help you tailor the vision employee benefits packages that are right for you. Let us be your partner in navigating these and other employee benefit plans.